The DeepBlue R-model by trafficnow – a DIN-rail or rack mounted roadside sensor for Bluetooth and Wi-Fi tracking. The ideal maintenance-free, non-intrusive sensor for getting online travel time information and origin/destination information for improved infrastructure planning. The sensor is designed for cabinet integration, making it very suitable for integration in roadside cabinets such as traffic controllers, VMS and emergency phones cabinet. An auto-configured, easy-to-install side-fire Sensor that detects the wireless signals from vehicles; from hands free sets, smart phones and GPS systems. The sensor combines maximum robustness for roadside operation with optimal performance through its high-sensitivity Bluetooth module and can be fit with different antenna option according to needs. This product was designed by trafficnow at the v2t-labs in Barcelona. The DeepBlue Core is the trafficnow centralized software for generating travel times, congestion alarms and traffic data. The DeepBlue Core+ is the trafficnow data analysis tool which offers an extensive amount of origin/destination matrices for mobility planning. The Virtual Control Center is the trafficnow Data Center hosting; offering a web based plug & play solution for both DeepBlue Core and DeepBlue Core+. 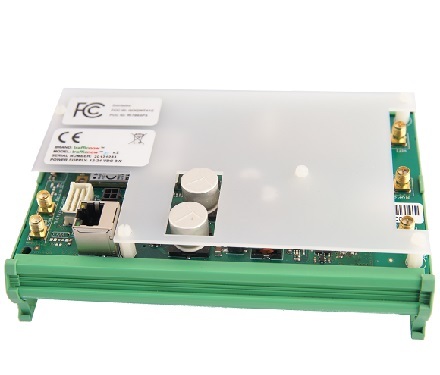 The IO Expander Board provides 8 general purpose inputs/outputs for integrating with third party equipment as well as 2 battery voltage meters for supervising third party batteries.